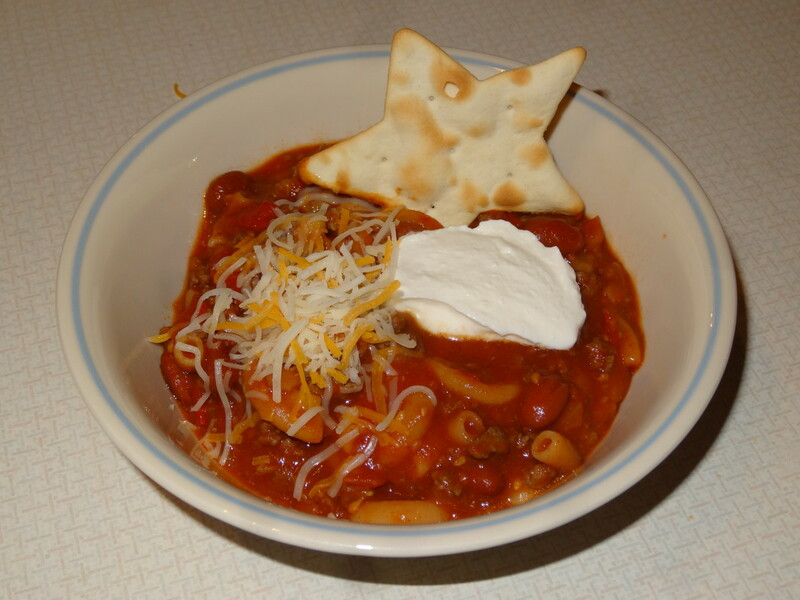 Nothing tastes better on crisp fall nights than a piping hot bowl of chili soup. 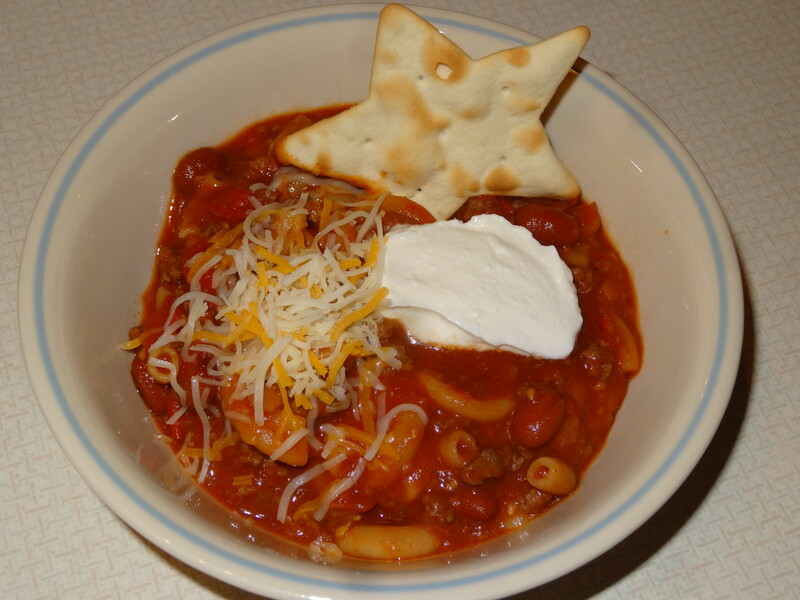 This is my favorite chili recipe to make in the late summer or early fall when temperatures start to fall but my summer garden is still in production. The sweetness from the cherry tomatoes and the spiciness of the hot peppers balance each other well in this fresh twist on a classic chili recipe. Preheat oven to 400°. Line cookie sheet with aluminum foil. Place jalapeño pepper halves and tomatoes on cookie sheet. 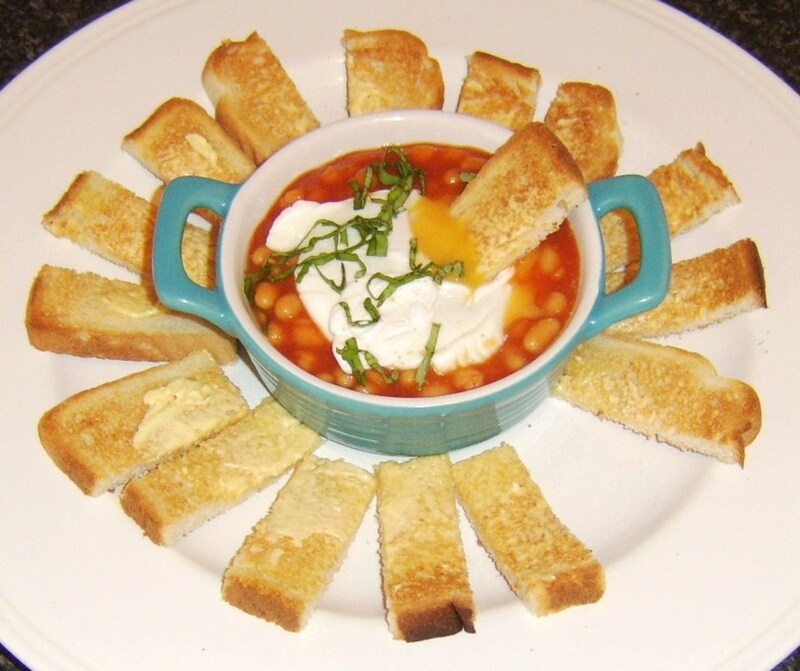 Spread cherry tomatoes out into single layer. Drizzle olive oil over the peppers and tomatoes. 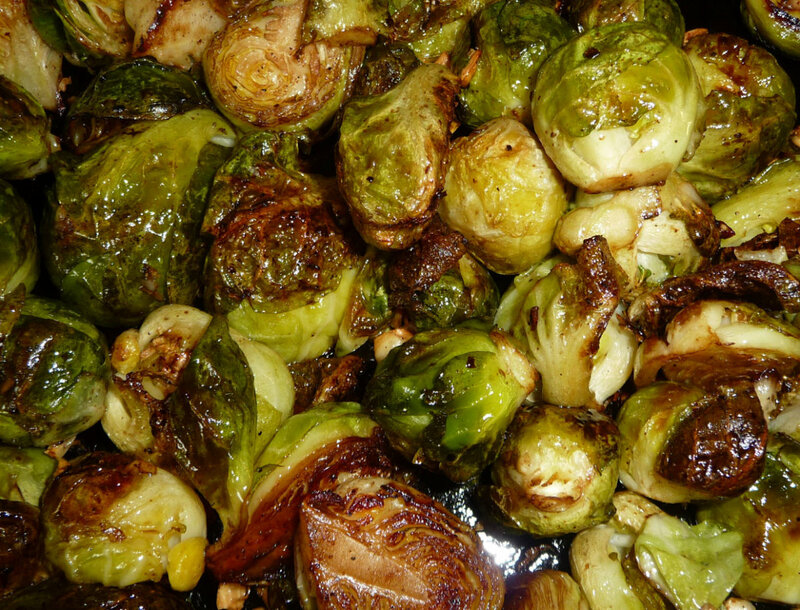 Roast for 15-20 minutes, until tomatoes are soft. 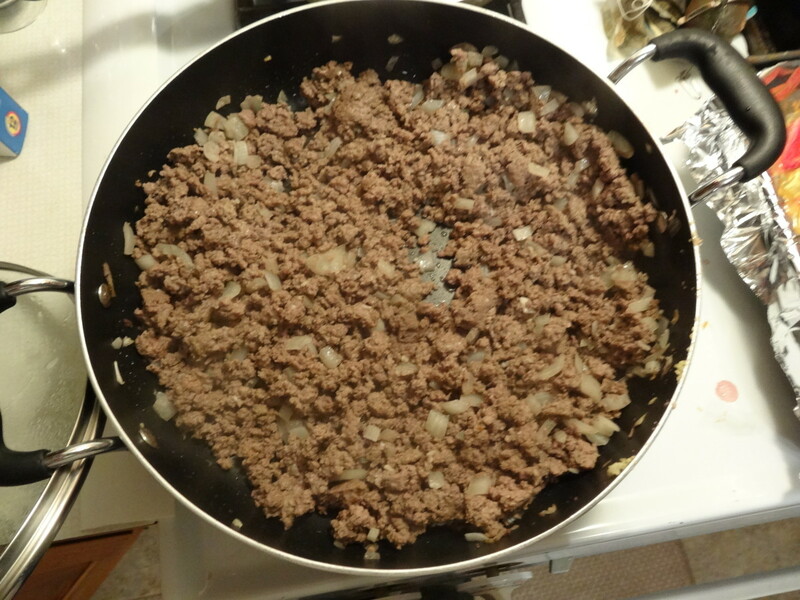 While that is roasting, in a large skillet cook beef, onion, and garlic over medium heat 8-10 minutes, stirring occasionally, until thoroughly cooked. Drain the meat. Season with salt and pepper. Add chili powder, cumin, and coriander to meat, stir and cook for 1-2 minutes. Place the roasted jalapeño peppers in a food processor and give it a quick chop (I pulsed for 1-2 seconds). 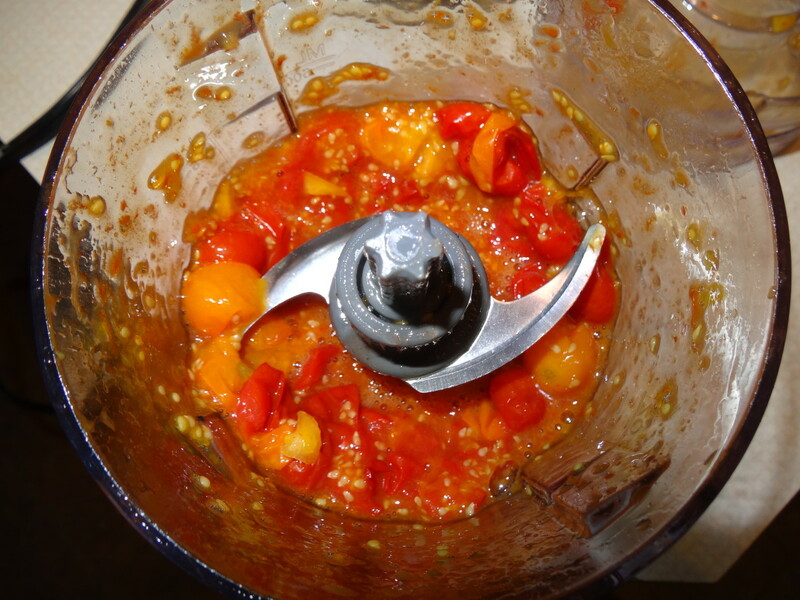 Add the tomatoes to the food processor and again give it a quick chop until at the desired sized (I again only pulsed for 1-2 seconds so that it was still chunky). 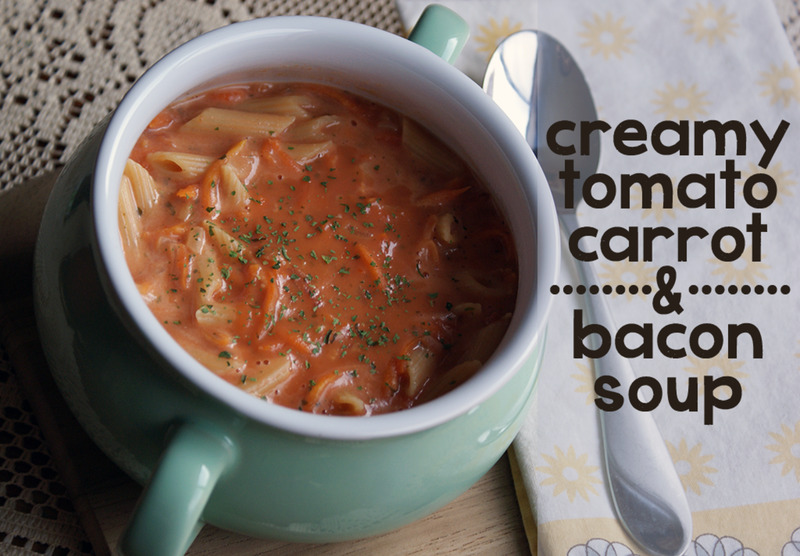 In a large saucepan or stockpot add the meat, roasted tomatoes and peppers, bell pepper, and tomato juice. Heat to boiling over medium high heat, stirring occasionally. 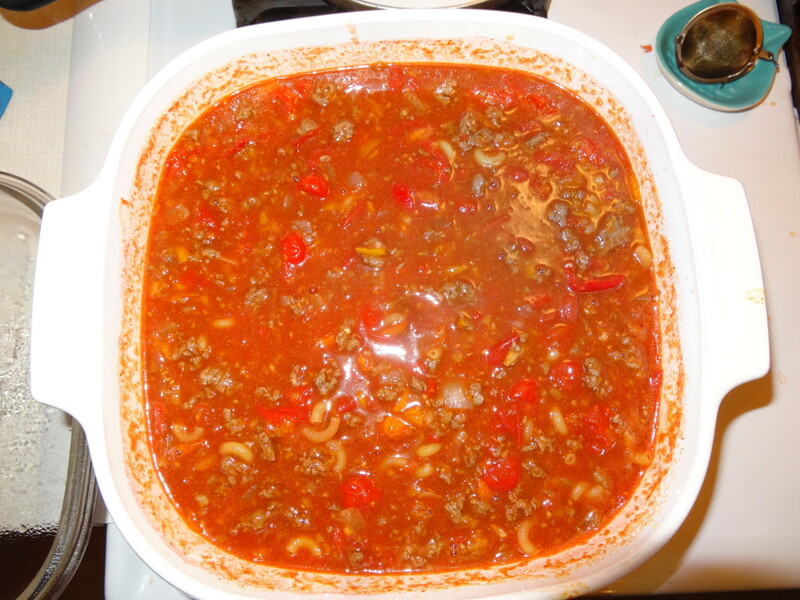 Once boiling, add the macaroni and chili beans, cook at a low boil 7-10 minutes, stirring frequently, until macaroni reaches desired texture and beans are heated through. Remove from heat. Stir in lime juice. Give it a quick taste and adjust accordingly. 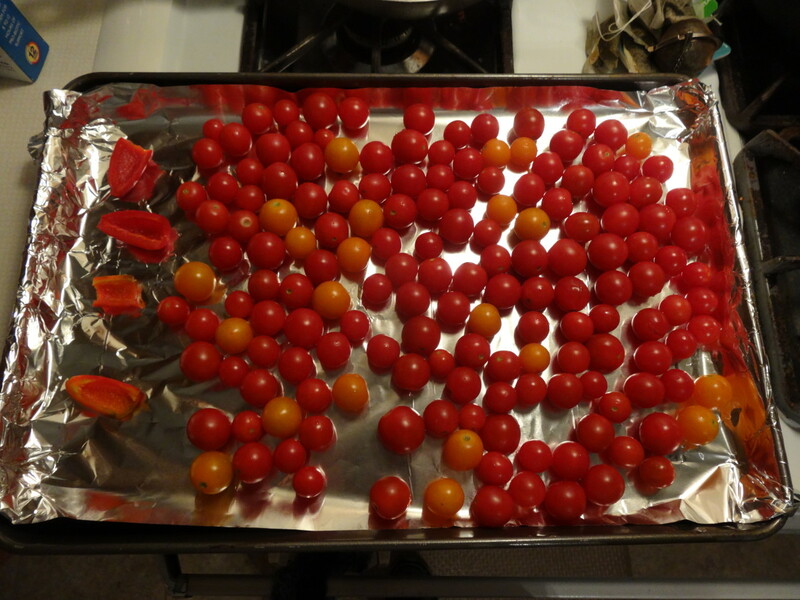 Place jalapeno pepper halves and cherry tomatoes in a single layer on an aluminum foil lined baking sheet. Roast at 400 degrees for 15-20 minutes, until tomatoes are soft. While tomatoes are roasting, cook beef, onion, and garlic in a large skillet over medium high heat until thoroughly cooked (8-10 minutes). Drain, add chili powder, cumin, and coriander then cook an additional 1-2 minutes. Place jalapeño peppers in a food processor and pulse for 1-2 seconds. Add tomatoes and pulse for another 1-2 seconds. If you don’t have a food processor you can use a food chopper or knife. The food processor is faster and less messy. 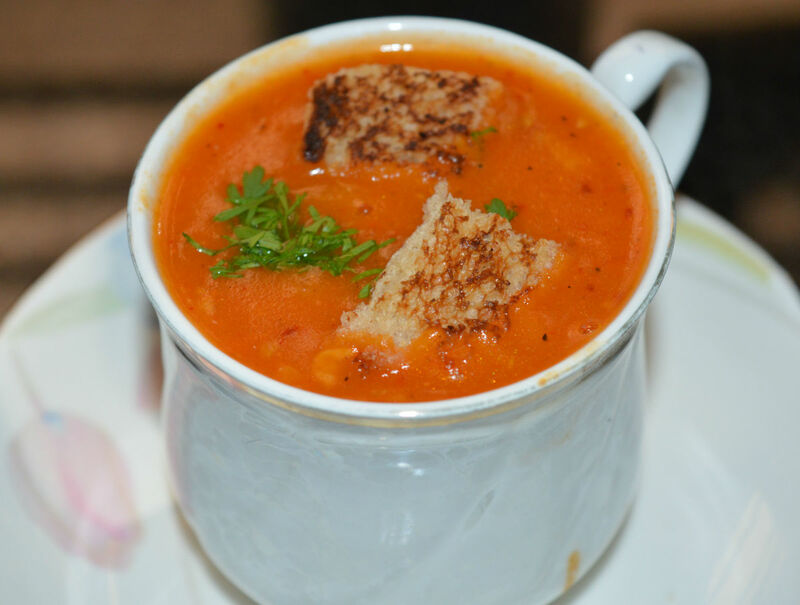 Add the meat, roasted tomatoes and peppers, bell pepper, and tomato juice to a large stock pot. 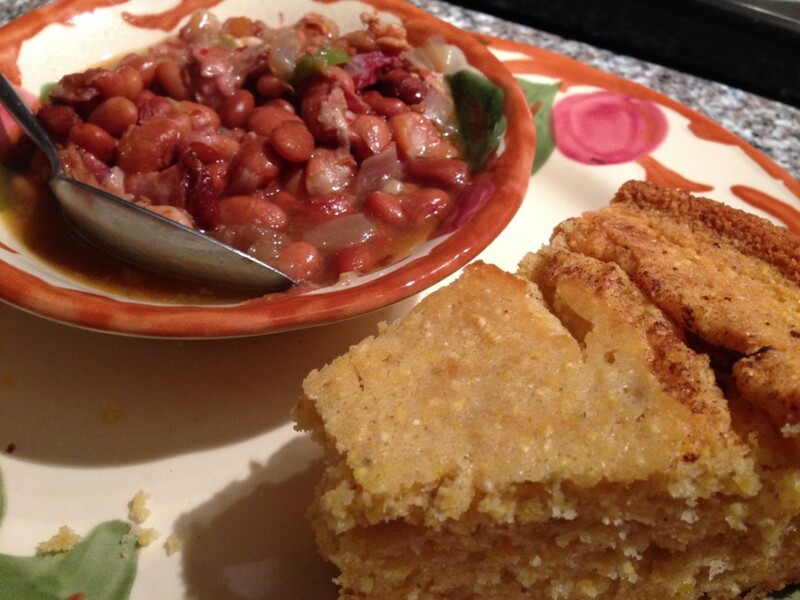 Bring to a boil then add macaroni and chili beans, cook 7-10 minutes, stirring frequently. Remove from heat and stir in lime juice. 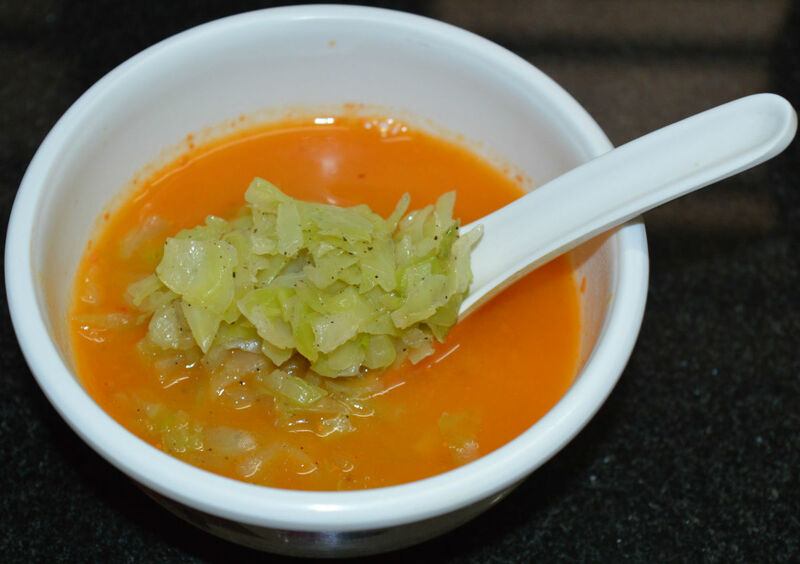 When serving this soup for crowds, I like having a topping bar so everyone can adjust their chili they way they like it. I usually include honey or sugar, hot sauce or jalapenos slices, sour cream, shredded cheese, crackers and occasionally diced avocados. Drizzle in some honey or sprinkle in some sugar. 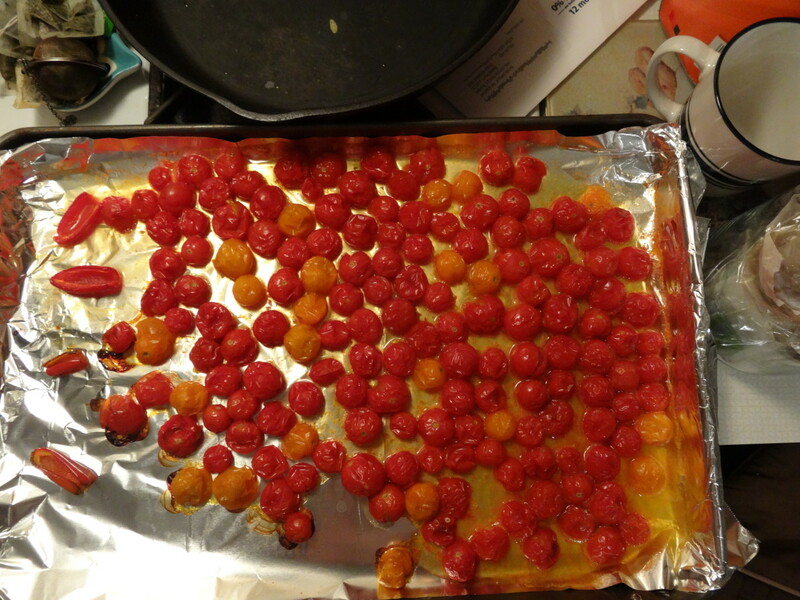 Add some cayenne pepper, hot sauce, or diced jalapeno peppers. Add a spoonful of sour cream, give it a stir, then top it with shredded cheese. 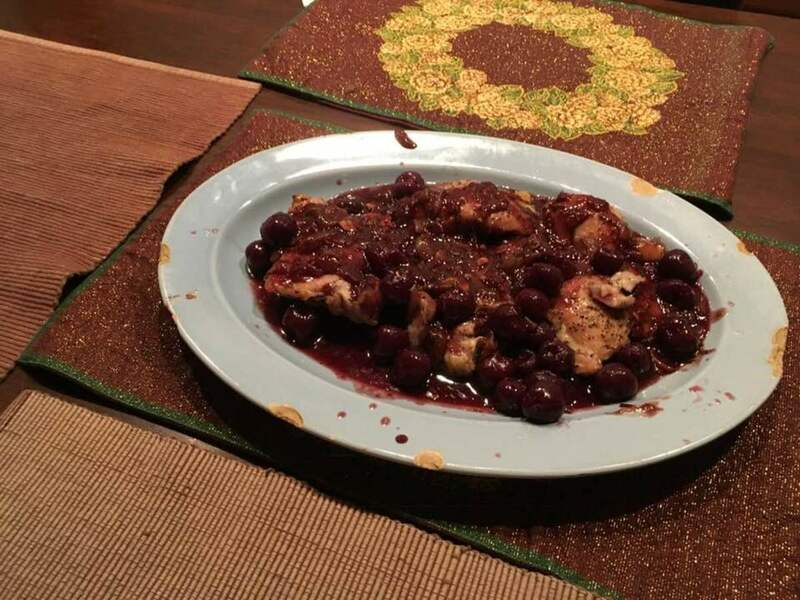 Remember it is always easier to adjust the taste of the chili by the bowl, that way if you add to much sweetness or heat you’re not ruining your whole pot of chili, you can just add more chili to your bowl. If you’re not sure how much to add, I recommend adding a pinch or a drop or two at a time and tasting often.